I read this article and found it very interesting, thought it might be something for you. The article is called Why India’s Poor Buy Essential Medicines From Private Pharmacies and is located at https://archive.indiaspend.com/cover-story/why-indias-poor-buy-essential-medicines-from-private-pharmacies-86299. 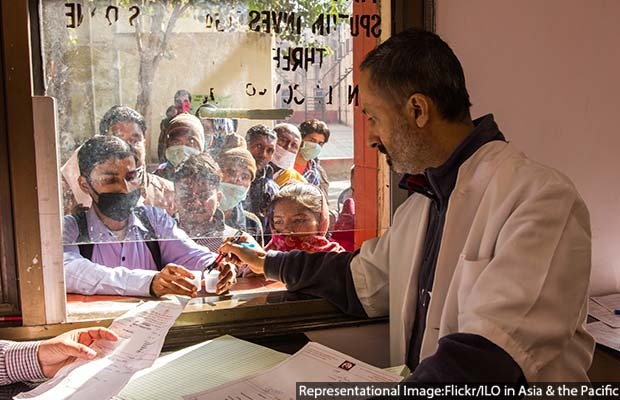 New Delhi: As India readies itself for Ayushman Bharat, the national health protection scheme covering primary, secondary and tertiary healthcare, a study from Chhattisgarh reveals poor availability of generic drugs in the state’s public hospitals. Chhattisgarh had announced in 2013 a policy guaranteeing access to free generic medicines in all its public health facilities. Doctors at these facilities were also mandated to prescribe only generic medicines in the essential drug list (EDL) for patients receiving treatment there. Essential medicines “satisfy the priority health care needs of the population”, as per the World Health Organization (WHO). The are 796 such drugs listed in Chhattisgarh. In the study, an analysis of 1,290 prescriptions from 100 public health facilities across 15 districts in Chhattisgarh showed that around 68% of the medicines prescribed were generic and from the EDL, but only 58% of them were available to the patients at the primary health facilities. The report titled ‘Access and availability of Essential Medicines in Chhattisgarh: Situation in Public Health Facilities’ was published in the January-February 2018 issue of the peer-reviewed Journal of Family Medicine and Primary Care. The study was conducted by the State Health Resource Centre at Raipur as part of the evaluation of the implementation phase of the free generic medicine scheme in 2013-14. In 2003, Chhattisgarh was the first state in India to list an EDL, and in 2011 the government set up the Chhattisgarh Medical Services Corporation Limited for centralised procurement, storage and supply-chain management of drugs, surgical items and medical equipment required by its public health facilities. Easy availability of essential drugs is critical for India’s healthcare system. Indians are the sixth biggest out-of-pocket (OOP) health spenders in the low-middle income group of 50 nations, as IndiaSpend reported in May 2017. And around 70% of the overall household expenditure on health is on medicines. An estimated 469 million people in India do not have regular access to essential medicines, according to the WHO. Various studies have shown the rising out-of-pocket expenditures on healthcare is pushing around 32-39 million Indians below the poverty line annually. “Without the focus on the improvement in coverage and prescription of generic drugs, we may end up in a situation where public health spending goes up without commensurate reduction in OOP health spending,” said Rajeev Ahuja, a development economist formerly with the Bill and Melinda Gates Foundation and the World Bank. As against the overall percentage of prescriptions with generic medicines (68%), Raigarh ranked the lowest at 55%, as per the study. However, in a third of the districts surveyed, less than 50% of generic drugs were available at public health facilities, the lowest being Bilaspur district (38%). Over 35% of the generic and branded drugs were purchased from private facilities across all survey sites. Narayanpur reported the highest percentage of generic prescriptions and availability, at 87.37% and 84.15%, respectively. But the current situation in Chhattisgarh is an improvement over the shortages the state saw in 2011, when only 17% of essential paediatric medicines were available. Studies conducted in other states have shown up similar problems. In Punjab and Haryana, only 45.2% and 51.1% of prescribed medicines were available at public health facilities. At the Jamnagar Government Medical College in Gujarat, only 63.34% of the drugs prescribed were generic. Across southern India, only 49.78% of the drugs were from essential drug list. A recent study by IIT-Madras, reported by IndiaSpend on May 25, 2018, showed that within six months of upgrading primary health-care facilities (human resources, drugs and diagnostics), there was an overall fall in the financial burden on patients.